Achieving excellence through continuing education is a priority for everyone at Classic Image Dance and is a valued part of our culture. It is important to me to not only meet, but exceed your expectations in every interaction we have with you. One of the best ways for us to exceed expectations in the classroom is by ensuring our teachers are educated with the most up-to-date curricula and tools and know how to effectively use them in the classrooms. This is why we believe in education for everyone at our studio. Our teachers receive training both inside and outside of the studio. Throughout the year they attend conventions and conferences such as LA Dance Magic, The Dance Teacher Life Conference, Dance Teacher Summit, MTJGD’s Studio Owner University and Dance League events. We also bring in dance professionals from across the country to instruct our faculty with the latest techniques and motivate them to become and remain the best teachers they can be. The entire CID staff goes through in-house trainings 4 times per year, including a full review of our policies and procedures, as well as a deep dive into our curriculum and classroom standards and practices. As a staff, we also read books together that apply to teaching and children, especially in the life skills department. 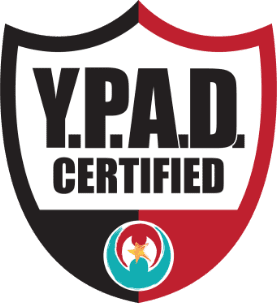 Our staff has also just finished their YPAD (Youth Protection Advocates for Dancers) certification, as well as first aid and CPR training. We will be sharing more about YPAD in our next blog post. At the training events and conferences, our teachers are exposed to different teaching styles, new music selections and teaching aids and props to use in the classroom, allowing them to offer new and fresh ideas into each class, with exciting music and movement. Most of this is centered around stretching and conditioning your dancer. There is always new information regarding the safety of training young bodies and allowing them to grow and become the best they can be in a safe environment while reducing injuries. All children have individualized learning styles – sight, sound, hands-on, etc. The training our teachers receive help them to teach and break down the skills and steps in different ways ensuring dancers in our classrooms are able to learn in the best way for them. By this I mean life skills. I always say that the greatest part of dance is the life skills that are taught in our classrooms and carried with our dancers throughout their life. 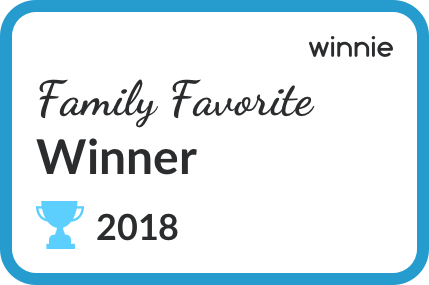 This year we have read “You Win in the Locker Room First,” by Jon Gordon and Mike Smith and are in the process of reading “Grit” by Angela Duckworth. We believe in teaching work ethic, responsibility, perseverance, dedication, and so much more in our classrooms. The training we receive helps us to better pass these life skills on to your students in child-friendly ways that are easy to understand. Our Character Tree in our back hallway is one example of this. Making time for continuing education is not always easy, but it is a priority that everyone at CID values. The hours our staff put in grow throughout the year, and the results are seen in the classrooms each and every month.